On Saturday May 24th, 2014, Richard Ludlow and I gave a presentation at Sigma Play entitled "Audio Design: Production and Aesthetic". 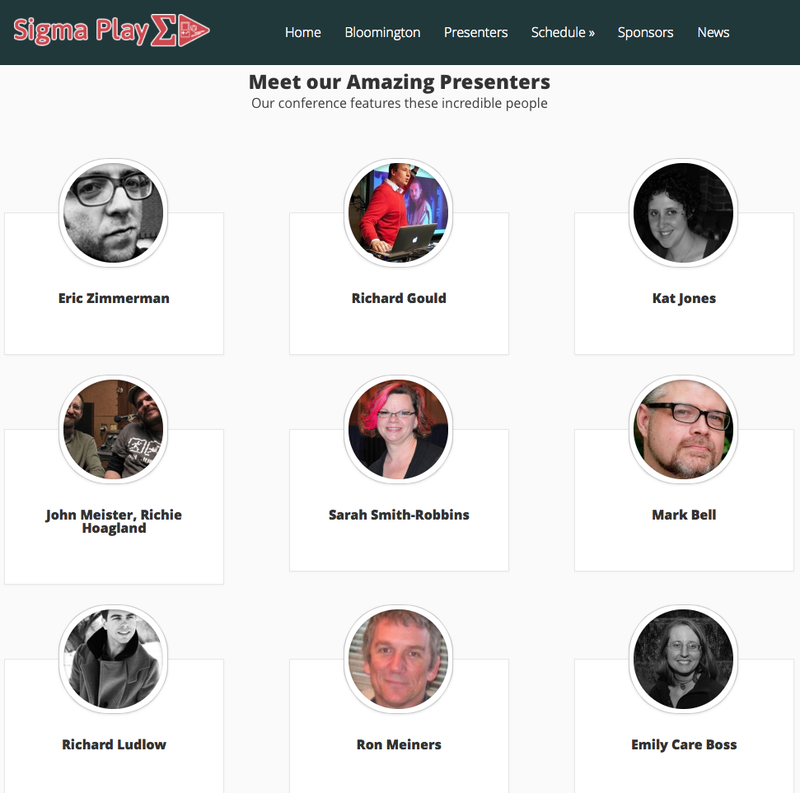 Sigma Play is a game conference held in Bloomington Indiana and this was the first year of the event. It was jam packed full of awesome talks, presentations and a keynote delivered by game designer Eric Zimmerman. For our talk, we had attendees get their hands dirty with the audio production process, challenging them to create sound effects for a creature, a weapon, a robot and a creepy ambience. I've never seen so much sound design going on in one room before!